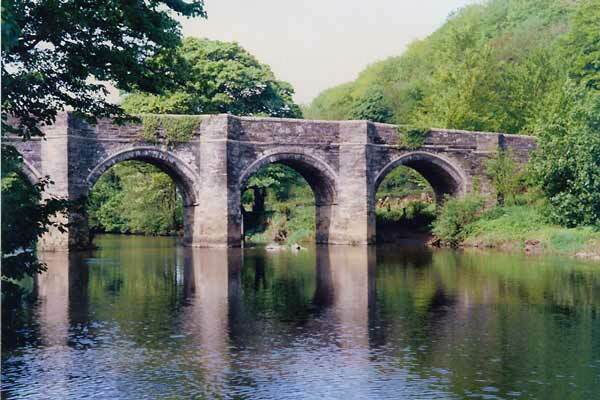 Nether Bridge | Launceston Then! Old Nether Bridge by Nick Hairs. Netherbridge or as it was originally called New Bridge replaced an earlier bridge that was further upstream of which a small part still exists to this day. 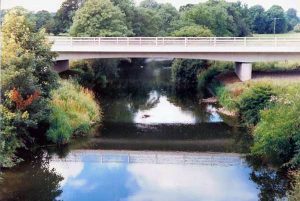 It was on the 21st of August 1504 that Bishop Oldham, Bishop of Exeter, granted an indulgence of 40 days to all penitents who contributed money towards the building of Higher New Bridge at Netherbridge. 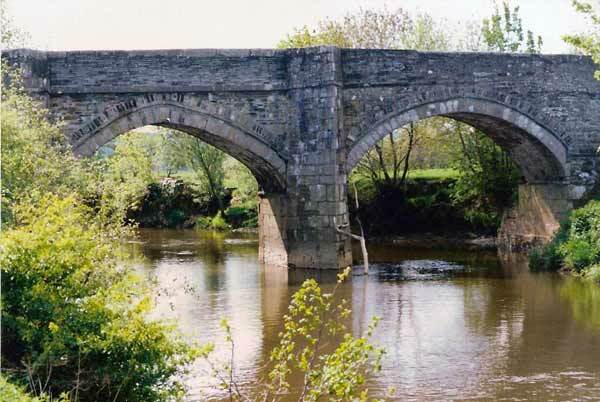 Indulgences also paid for several other bridges across the River Tamar. 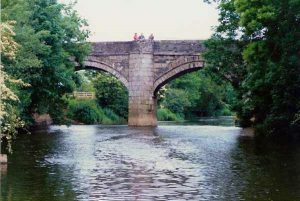 The bridge was built and maintained by the Abbot of Tavistock Abbey who were major land owners in the area.The bridge has three main arches with a span of 25 feet with piers of 28 feet from riverbed to bridge parapet. There is a smaller arch on the Cornwall side of the bridge for flood water. 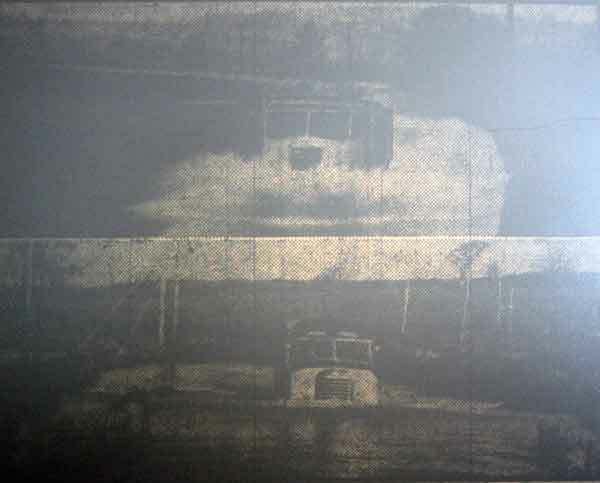 The roadway is 11 feet wide. 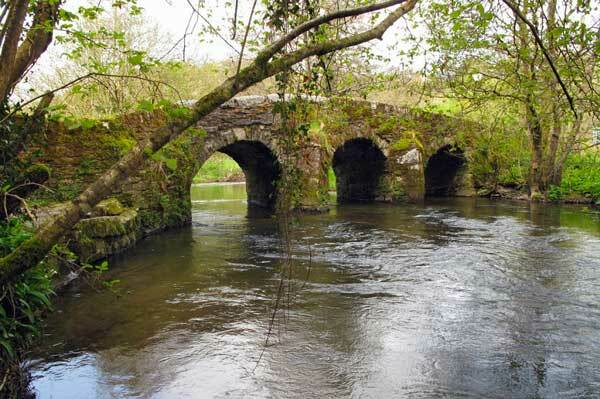 The bridges is much as the builders left it more than 500 years ago. 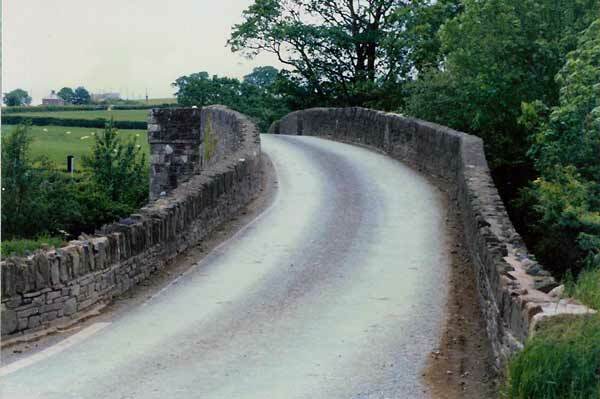 A new road bridge (below) was built alongside the old bridge in 1985 as the old bridge being single tracked had become a bottleneck . This was opened in April 1986 by Christopher Beazley M.E.P. New Nether Bridge by Nick Hairs. 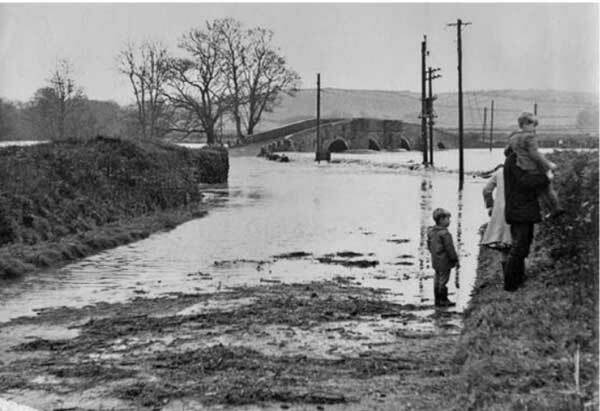 Flooding at Netherbridge in 1955.